If you’ve fired off a series of angry tweets when subway delays made you late to work/a doctor’s appointment/a meeting/basically any important life event, you’re not alone—and the MTA has taken notice. If @JoeLhota and @NYCTSubway want more positive feedback from commuters maybe they should do something that’s worthy of praise. It doesn’t help that service this morning was, once again, messed up, with signal problems on the 2/3, mechanical problems on the A/C, and an investigation at Jay Street that stopped R service during the morning rush hour. 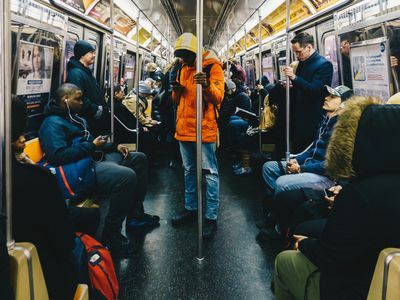 During the budget hearing, which was attended by state senators and Assembly members, Lhota came under fire for the MTA’s myriad failings—derailments, poor Access-a-Ride service, even the condition of bathrooms on the Long Island Rail Road, according to the New York Times. The agency was also criticized for a proposal to use “value capture”—creating “special tax districts on developments near the subway,” per the Times—as a means of paying for system upkeep. “How can we ask people to give up good money to repair the system when it looks like no one is watching the ship?” one state senator asked Lhota. Fair question.